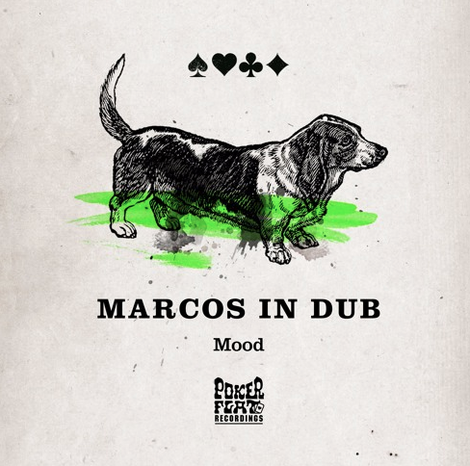 Next up on Poker Flat Recordings is a three-tracker from Marcos in Dub, the Spanish DJ and producer with a string of releases to his name. ‘Mood’ kicks off with the title track - a dancefloor tune built around a rubbery groove. The track draws atmospheres and textures from trance-infused deep house, perhaps a legacy of the artist’s time as a resident at Madrid’s Goa nights. The synths bubble and boil over into a lysergic trip that aims to flip minds when heard in the right circumstances. Joeski’s remix takes the fundamental elements and strips the track down into a tough, minimalistic groover - the synths are a little more restrained, and the percussion gets more of a leading role in driving the track. 'Root' closes out the release, which gets deep into the dubwise sounds one might expect - it’s a thick, deep sound, enhanced by the creative use of reverb and delay, creating space and atmosphere for the groove to work its beat. It’s out 1 December, check it out below.